The National Chairman of Peoples Democratic Party, Prince Uche Secondus, said in Abuja, on Thursday, that the All Progressives Congress had become a lame duck after former President Olusegun Obasanjo wrote a letter to President Muhammadu Buhari asking him not to seek re-election. He said that the letter also exposed the corruption and nepotism in the Buhari administration. Secondus spoke when he and members of the party National Working Committee met with former ministers who served under the PDP regime in Abuja. He insisted that that APC has failed “woefully” since 2015 when it assumed leadership of the country. The Attorney General of the Federation and Minister of Justice, Mr. Abubakar Malami (SAN), on Thursday insisted that his predecessor, Mr. Mohammed Adoke (SAN), must face trial on the charges bordering on the alleged fraudulent $1.1bn Malabu transaction preferred against him by the Economic and Financial Crimes Commission. Justice Binta Nyako of the Federal High Court in Abuja, on Thursday, heard Adoke’s suit challenging the five counts instituted against him by the anti-corruption agency and adjourned till February 28 for judgment. 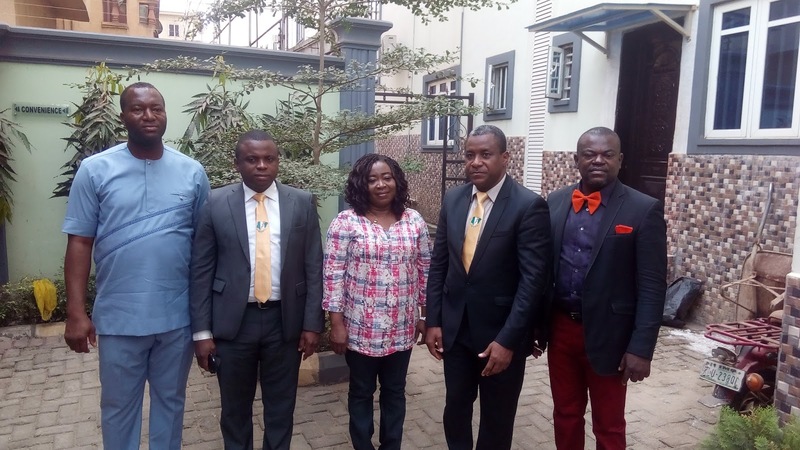 The Bank of Industry has disbursed micro-credit loans ranging from N50,000 to N100,000 to over 7,000 beneficiaries in Cross River under the Federal Government’s Enterprise and Empowerment Programme . According to a statement from the bank, the Executive Director, Micro Enterprise, BoI, Mrs. Toyin Adeniji, stated this recently in Calabar during the presentation of loan certificates to beneficiaries in the state. 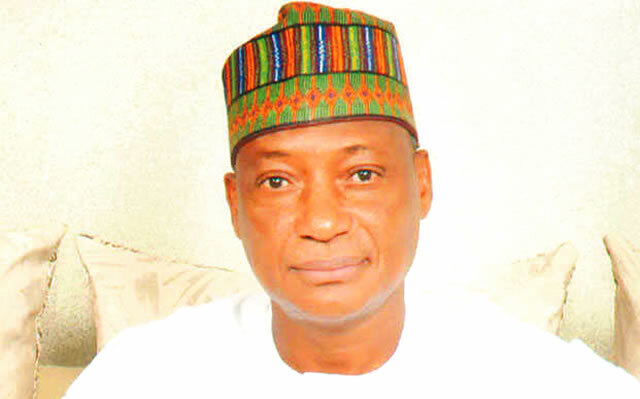 The Minister of Defence, Mansur Dan-Ali, has directed the nation’s security agencies to tackle those propagating hate speeches, especially through the social media. He said special attention should be given to notable Nigerians while tackling the menace. 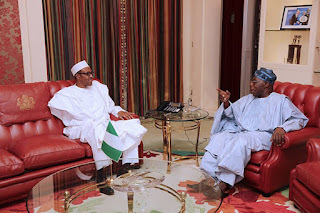 According to a statement made available to journalists, Dan-Ali gave the directive at a meeting of the National Security Council presided over by President Muhammadu Buhari at the Presidential Villa, Abuja on Thursday. There is seldom anybody who will claim that mass death still evokes shudder in Nigerians. Not since the emergence of the vicious Boko Haram suicides, and more recently the bumbling, but ruthless, Fulani herdsmen. Both have exposed Nigerians to unqualified goriness that has robbed them of the shock of carnage. Before this time, mass death was not a common occurrence in Nigeria. Where there was mass death, it was a case of mishap resulting from plane crash and the like. It was few and far between and the attendant pain was not as severe as in the carnage occasioned by death in the hands of the criminal gangs. At least, the loss was taken as an act of fate. Where as the pain from the carnage is made worse by the arrogance of the blood-letters. They show no remorse and their response to public outrage has been more carnage which is inflicted at the least provocation. 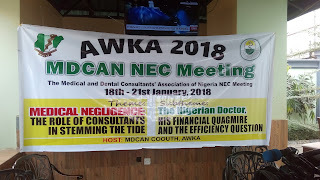 The Medical And Dental Consultants Association of Nigeria (MDCAN) has charged the government to quickly take up steps that will contain the resurfaced LASSA Fever outbreaks in some states in Nigeria. It urged the government to make available adequate drugs for treatment of the affected persons to curtail the spread of the disease across the states of the country. This was contained in an eight point communiqué issued at the end of the National Executive Council Meeting of the association held in Awka, wants Nigerians to free their environments of rodents that can endanger thé lives of others through the spread of lasser fever . When model turned actor, Kenneth Okolie, released some of his wedding pictures online, from the comment sections of some blogs, it was evident that he had unintentionally broken some hearts. Some ladies who drooled over his body aired their minds. Some went as far as pleading with the former second runner-up of Mr. World 2010 not to lose his ‘lovely physique’. During a chat with Saturday Beats, the actor reassured his fans that marriage would not change his physique as he was a fitness enthusiast. Years ago, Phenom broke into the Nigerian entertainment scene with his unique rap style and everyone fell in love with him. Although he was signed on to the defunct Knight House record label, that did not stop other record label owners like Wizkid, Olamide and MI to try to sign the young lad. Sadly, years down the line, nothing has been heard of the young man, who told Saturday Beats that he quit music after his contract expired. He admitted that he probably would have been one of the most sought-after rap artistes if he had accepted some of those offers, but added that he had no regrets for being loyal to his previous record label. No one ever prays to go to prison; however, for the popular blogger, Kemi Olunloyo, 2017 is a year that she would likely not forget in a hurry as that was the year she was remanded in custody three times. The blogger was sent to prison for alleged cybercrime charges and defamation of character after accusing Pastor David Ibiyeomie of Salvation Ministries of adultery. Harcourt prison is the biggest in Nigeria with 4,175 inmates – 75 women and 4,100 men – between the ages of 18 and 25. It is filled with young Nigerian men, but it is a disaster. The male inmates really worked for me and they gave me the nickname, Mummy K. I was really dealing with armed robbers without guns. According to her, on the few occasions that she has had to sleep at movie locations, she made sure the house was in order. She said, “There have been exceptional cases when I had to do night jobs, especially when we shoot crime scenes. But I always have things planned out. On the average, I sleep at movie locations only about three times in a year. One of the people who quickly responded to the cry of the controversial blogger, whose father, Omololu Olunloyo, is a former governor of Oyo State, is comedian, Seyi Law. This is in spite of the long-drawn spat between the duo months ago.